Year 3 were very lucky to have a visit from Frank from the Guide dogs. He brought Kevin and his guide dog, Freddy kindly came to speak to us about his experiences. 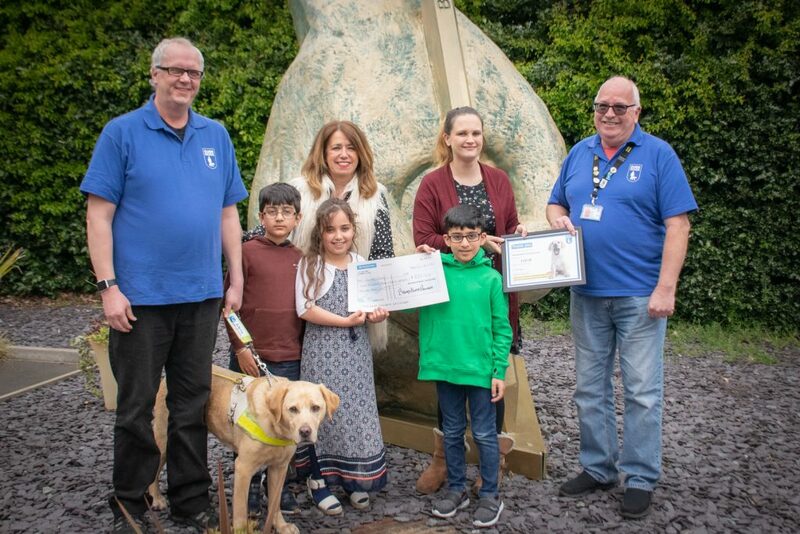 We decided to hold a fundraiser to raise money for the Guide dogs. As a year group we held a cake and biscuit sale to the rest of the school and raised £237. Today it was lovely to share with Frank, Kevin and Freddy how much we raised. Well done Year 3! I can’t believe that we gave 237.000. 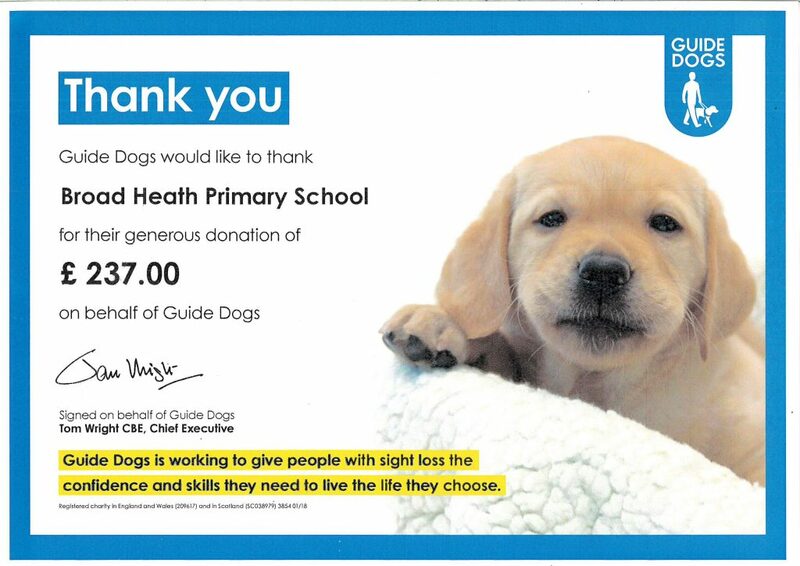 That is very very amazing but I think it is amazing how much we raised for the guide dog charity. That is very very amazing. Amazing year 3. Well done!